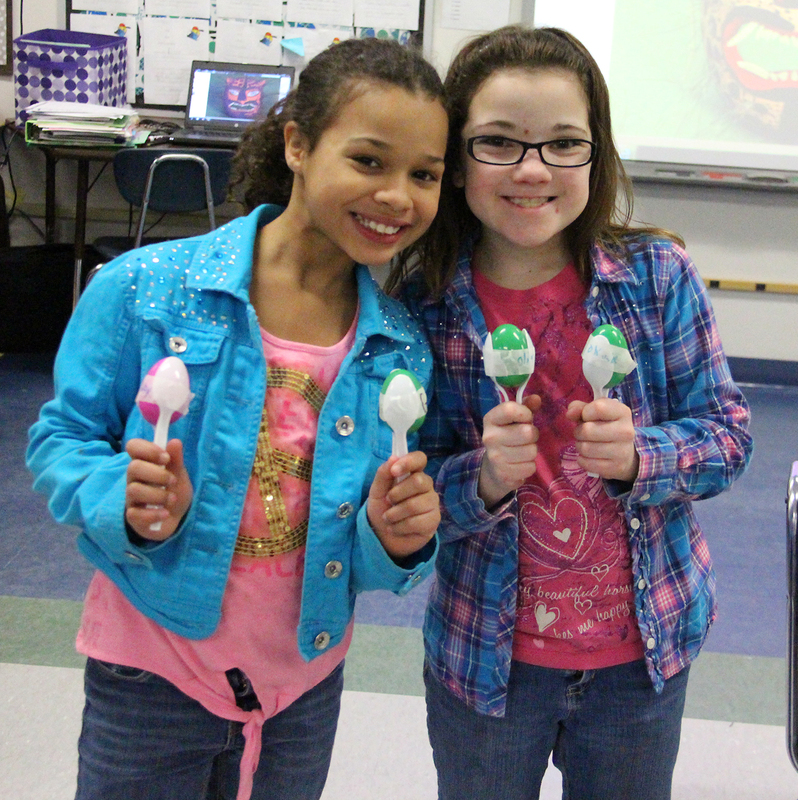 Exploration Night put the world quite literally at the fingertips of Altmar-Parish-Williamstown students. 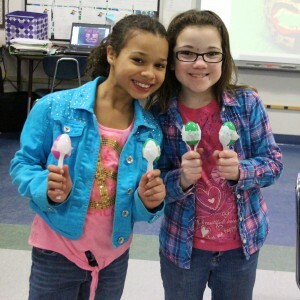 Altmar-Parish-Williamstown fourth grade students Gabby Curry and Olivia Curry show off the maracas that they made during their learning adventure to explore the sights, sounds and customs of the country of Mexico. 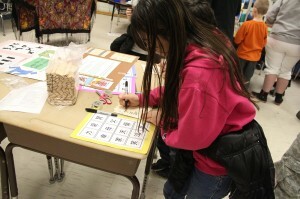 The activity was part of an Exploration Night event coordinated by the school’s Parent-Teacher-Student Association. 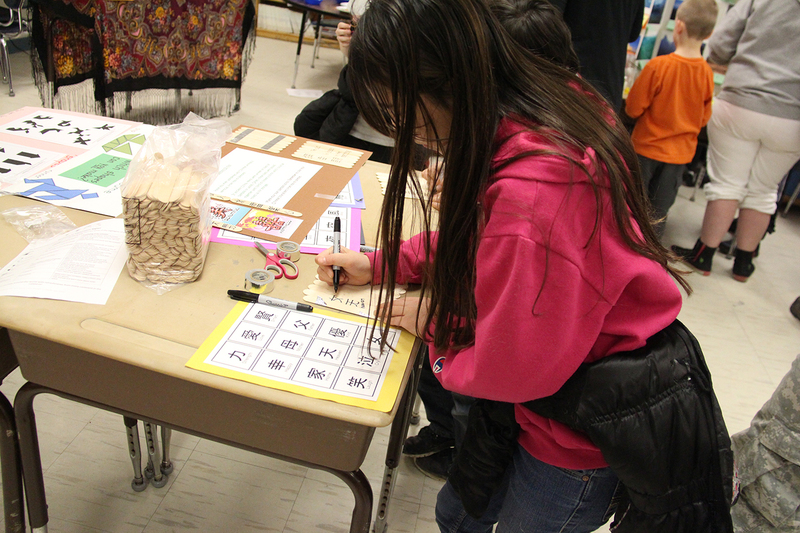 The APW Parent-Teacher-Student Association coordinates a learning exploration event each school year as a way to kick off the school’s Parents/People as Reading Partners initiative. This year’s event took students and their family members on journey around the globe. Hands on activities and special guests provided opportunities for guests to learn about several different continents and the characteristics, customs, culture, music and food that make each unique. Students exploring Asia retraced Marco Polo’s footsteps and practiced using chopsticks, built a barometer and found out how to make silk and wool. A stop off at Australia gave students an opportunity to explore the outback and create native artwork. Animals from the Thompson Park Zoo provided guests with an opportunity to learn about South America and take an Amazon rainforest adventure while special guests from the country of Tanzania talked to students about life on the continent of Africa. Other stops on the students’ global adventure included a visit to Central America, Europe, Antarctica and a journey home to North America. In addition to coordinating the school’s annual exploration event, the APW PTSA sponsors the school’s family dances, game nights, movie nights, back to school picnics and special in-school programs and guest speakers. The PTSA is also responsible for hosting scholastic book fairs, supporting field trips and coordinating resources and volunteers for classroom and school activities.